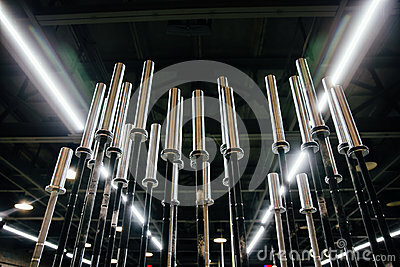 Rack of chromed vertical dumbbells on the PEGBOARD wall background fo Interior of the loft big gym. Rack of chromed vertical dumbbells on the PEGBOARD wall background fo Interior of the loft big gym. Motivation, overcoming the concept. Place for the text.